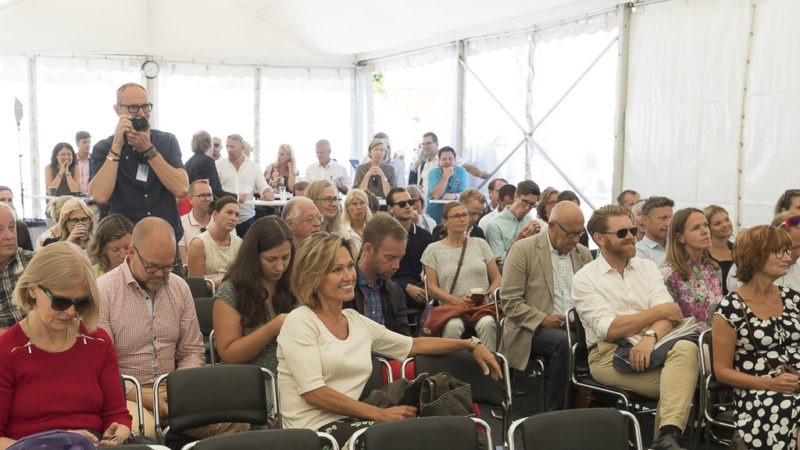 Wednesday is always the most intensive day in Almedalen. That is when everyone has arrived, when there’s a meeting going on in every nook and corner and the competition for visitors is most intense. For these reasons it was especially satisfying to see how many people attended Medtech Day. 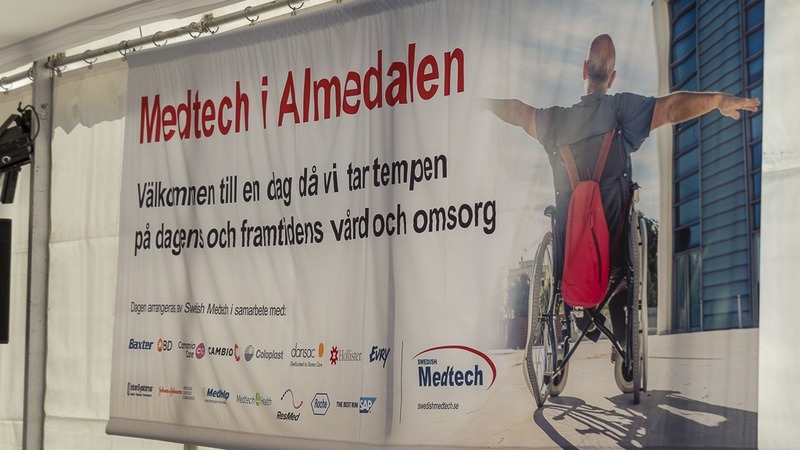 Under the hashtag #medtechdagen (#medtechday), Swedish Medtech presented a full Wednesday of seminars. 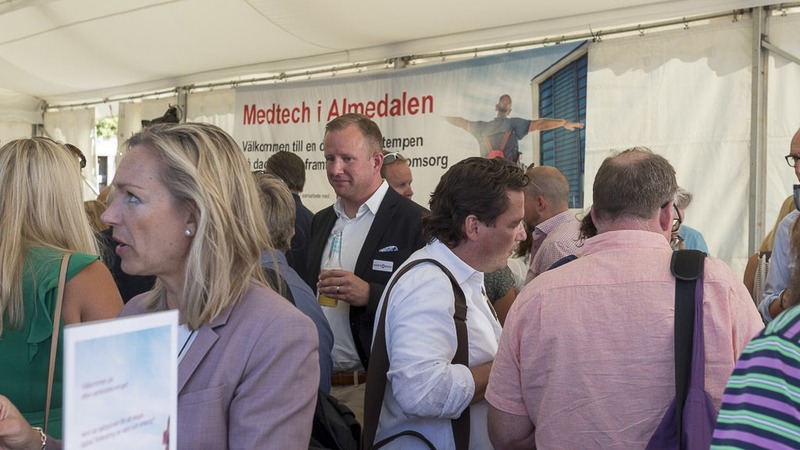 A number of our member associations and Medtech4Health participated. Kristina Svensson was involved in the day’s organising group and was particularly active in events before lunch. To be sure, we were far from alone in arranging seminars on Wednesday. There were many events by others as well. 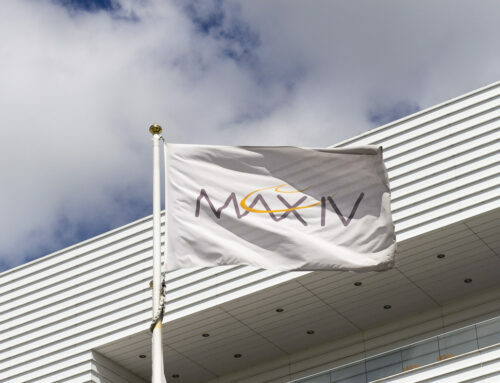 As on previous days, the whole Medtech4Health team have written reports from the events they participated in and as in the earlier English language articles, the following is a summary. You can find the original Swedish texts here. Kristina Svensson, who curated Wednesday’s Swedish language report, especially recommends the patient stories. For this reason two patient stories are included more fully. How does the patient feel when healthcare moves in? 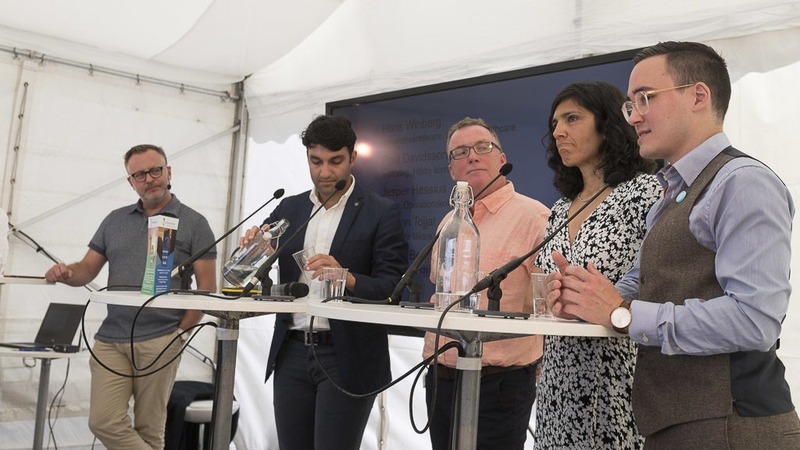 Swedish Medtech organised a morning session that asked “How does the patient feel when healthcare moves in?” The session highlighted how technical developments are increasing our ability to move healthcare out from the hospital. Questions discussed were: What is important to patients and to healthcare personnel to enable this to work? How accessibility, the opportunity to monitor, virtual contacts and healthcare can be offered today. The session began with a patient account. Ellinor is a musician, now receiving treatment through the renal medication department of the Västra Götaland Region authority (VGR). During a trip to Cuba, she became acutely ill, was hospitalised and now requires dialysis treatment. Today her treatment takes place at home rather than at a dialysis clinic. To demonstrate the effectiveness of her treatment, Ellinor connected herself to her dialysis machine and played a saxophone on stage, inspired by the machine’s spinning sound. Ellinor’s story serves as an example of how to visualise healthcare in the home. More and more people want to manage their dialysis themselves, but they need to be enabled to do this. VGR now holds courses so that patients can feel safe in operating their own dialysis machines. Healthcare has changed a lot over the years. Formerly, authority and power was held by medical authorities and big hospitals who believed they knew what was best for the patient. Today power is passing back to the patient. By listening and sharing knowledge with each other, healthcare decisions can be taken jointly to provide the best care for each particular patient, depending on where they are in life. This is the essence of patient-centred care. Today, approximately 25% of the VGR’s renal patients are able to carry out home dialysis and the number is increasing yearly. 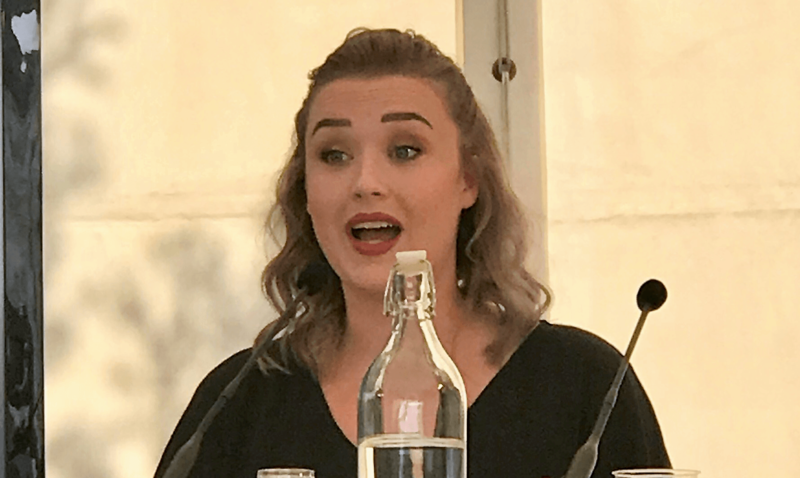 A second patient story came from Stina Hägglund who described her experience of care and technology as a stoma patient. Stina has been chronically ill for more than 20 years. Because Stina is young and appears healthy, people often assume she is ignorant or inexperienced. Nothing could be further from the truth. Stina is 30 this year and has 23 years experience of her illness, Chrohn’s disease. At the age of 23, after sixteen years of struggle and a serious complication that could not be resolved, a medical decision was made to remove her large intestine. After surgery, Stina woke up and felt at peace. It was only then she truly understood how ill she had been. This realisation gave Stina the power to endure the coming time, which was the most painful in her life. It became difficult to associate with her family and friends because she had constantly to face their compassion. All Stina wanted was to close her eyes and be alone. Stina’s story illustrates how extremely important after care treatment is following this type of surgery. Today, Stina is an inspiration to people facing operations and helps them by recounting her experiences. She argues that the stoma operation that worries so many, is a relief and improves quality of life. Life becomes easier to live. Is healthcare ready to take a chance on change? This was the question posed in the second Medtech Day panel discussion. Judging by the doctors and administrators who participated in the panel, there is nothing to worry about in this respect. Healthcare is not only ready to take a chance, but there are many who have already initiated changes and will gladly show the way. Jesper Hessius was one of the panel contributors. A doctor but also an app developer, he replaced a 130 page book with Operation-check, an app that presents timely information to patients approaching hip joint surgery. The patient who would prefer to have printed book, is given it of course, but most people prefer the app. Jesper was first told his idea was not possible, but he went away and created the app anyway. Another contributor was Damon Tojjar. He explained how EASY Diabetes (winner of the Medtech4Health Innovation Award 2018) simplifies, streamlines and enables a better tailoring to the individual patient. He attracted warm applause (bearing in mind that Almedalen is a political week) when he reminded his audience that many innovators are new Swedes. 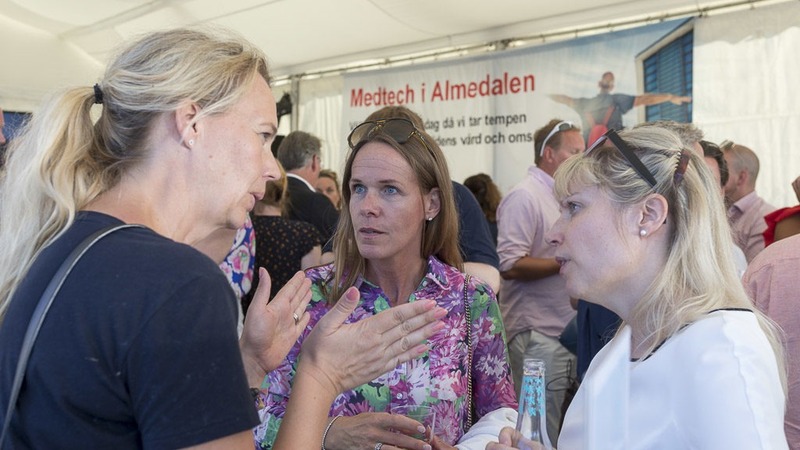 New Swedes can make a fantastic contribution to Swedish healthcare if they are welcomed. How should healthcare be organised? 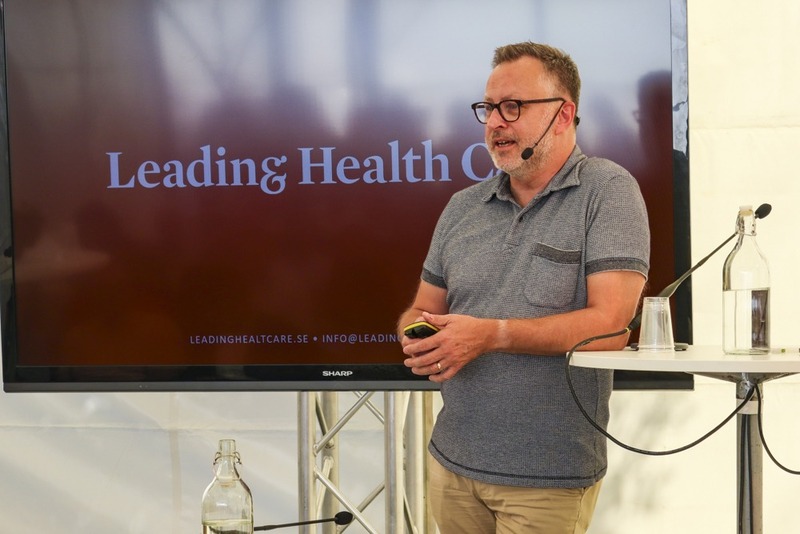 In another session organised by Swedish Medtech, Hans Winberg, General Secretary at Leading Health Care, presented new ways to look at how healthcare can and should be organised. If his approaches are implemented, he expects to see in the future a significantly more efficient healthcare with increased availability, centred around the individual patient. This academic perspective rests on research from the Stockholm School of Economics in collaboration with the Center for Healthcare Improvement at Chalmers University. Healthcare politicians Chip ‘n Dale! A popular duo in their Wednesday session were Daniel Forslund and Robert Winroth. The two were described as “Chip ‘n Dale” for their presentation style (rather than the tone of their voices hopefully). They are county council politicians. 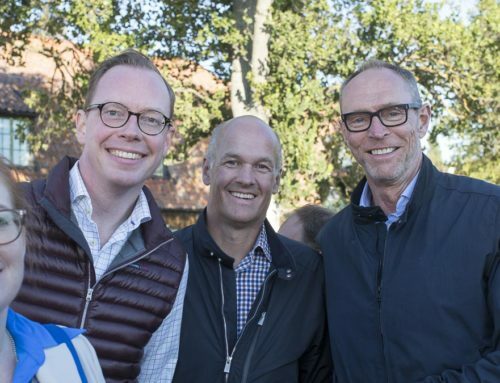 Daniel Forslund is a Liberal in Stockholm, Robert Winroth is a Green in Västerbotten in the north of Sweden. Both are responsible in their respective councils for innovation. They discussed the role of politicians in healthcare planning, now and in the future. Both called for a liberal reform, doing away with the myths surrounding doctors’ and nurses’ perceived “unwillingness” in the face of innovation, and a freeing up of processes and technology; matching this with industry’s skills and resources. Medtech4Health representatives also reported from a number of other sessions held under the Medtech Day banner. 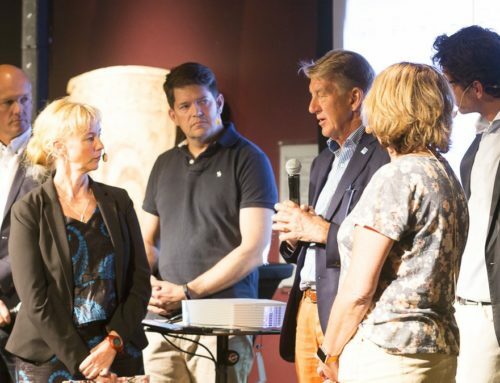 One seminar gave a glimpse of how digital healthcare might develop. The Min Doktor app that allows patients to keep their own medical journals on their mobile phones and receive individual, remote treatment from qualified doctors. The process by which the app was developed and refined was presented by Daniel Persson, Business Development Officer with Min Doktor. The issue of financing the app was considered by Henrik Kangro, Medical Officer with Min Doktor. 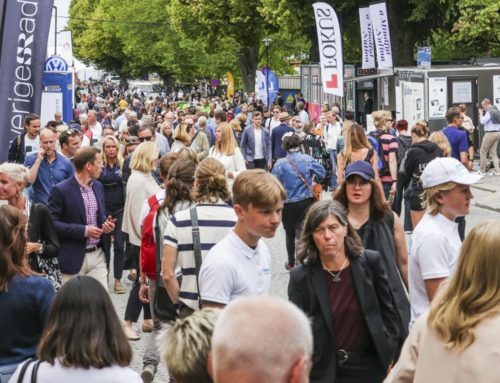 The objective is to counter the present situation which sees up to 66% of Swedes worried that it takes too long to meet doctors when they need to, and 16% seeking emergency care for a primary care problem in order to see a doctor more quickly. 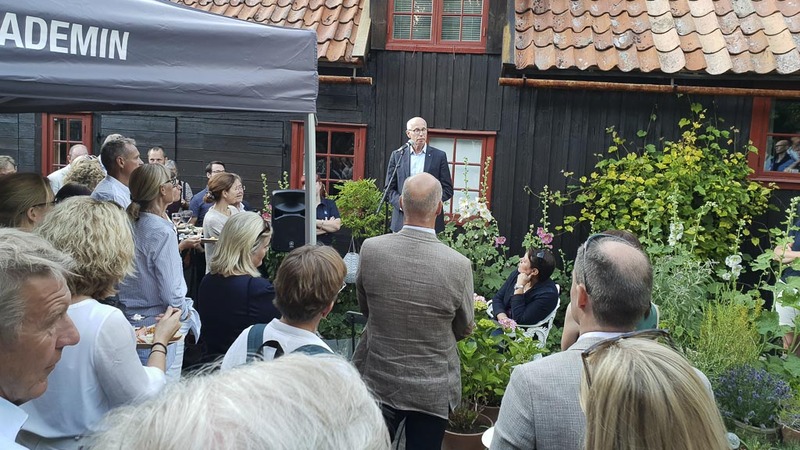 A second seminar, lead among others by Krim Talia of RISE (Research Institutes of Sweden) and Anders Ekholm of the Institute for Futures Studies, was given over to a vision of Swedish healthcare in 2023. This foresaw specialised healthcare looking much the same as today, while primary healthcare will have undergone radical changes. The vision is that in five years time the current primary healthcare system will be largely replaced by patient-directed care. This will be financed through social impact bonds. Among the motive forces behind these changes will be the high number of older medical professionals retiring over the next five years to be replaced by younger, more digitally literate people. The Swedish text (linked above and here) contains very much more, but if this English summary is ever to be published it the translation will have to be cruelly abbreviated here. Suffice to mention a panel discussion at the Health Tech hub on the subject of who should own and use health data. The question that was discussed was how the large amount of data that digitalisation creates should be handled and owned. How should we organise the data and healthcare infrastructure so that patients, healthcare and developers can best use the data to improve care? 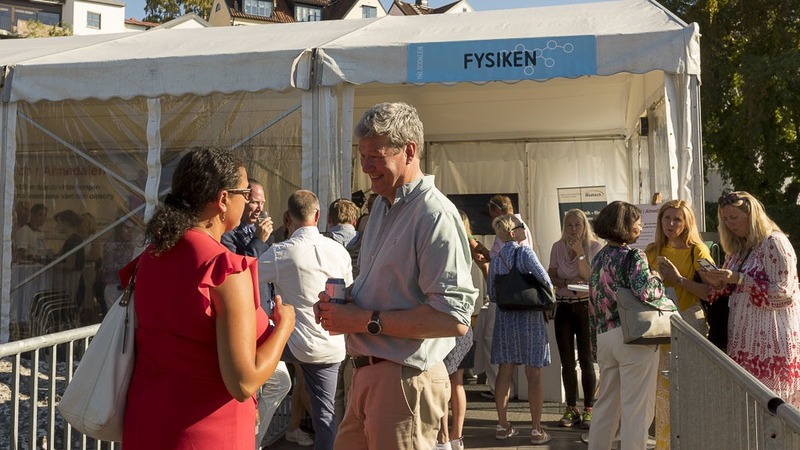 The long Medtech Day was rounded off after the seminars with food and the opportunity for all speakers, organisers and invited guests to mingle and talk. 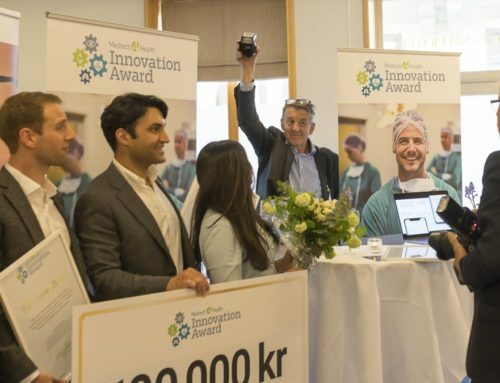 Nu kan du anmäla dig till vår kurs i medicinteknisk innovation!